"Carnival in November?" you ask. 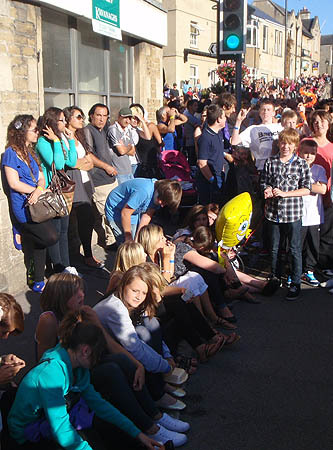 Yes - the Melksham Carnival Committee is looking forward to 16th July 2011, and early on Friday morning the lady who's going to be looking after their web site popped in for breakfast and to be shown the ropes. And I'm delighted to see that - by Saturday morning - there have been some significant forward looking changes to their site. Up to 2009, I took lots of pictures of the carnival parade and published a small selection on our sites, but this year I took part in the parade, and the handful of pictures I was able to take were mostly "inside looking out" - the crowds, from the floater's viewpoint. But that does show you just how much the carnival is appreciated in the town, and how many people come in from many miles around. 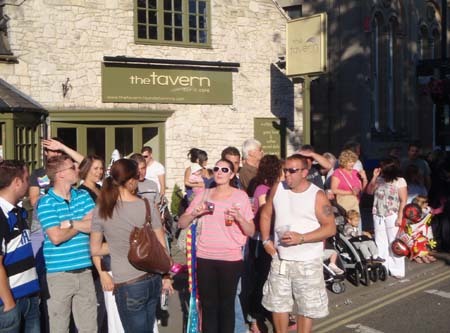 Further crowds outside "The Tavern" as we walked through Melksham; it was a glorious sunny day - let's hope for the same in 2011. We gathered at the start of Carnival in the car park at Cooper Tires ... from where the procession moved off. It was such a bright day that many of my pictures are "contrasted out" ... I suppose that's not a surprise with bright white swimwear! 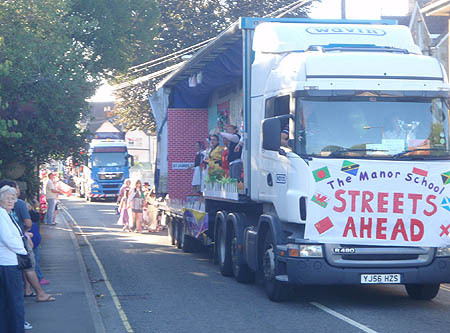 Here's one opportunity I got to take a more traditional picture ... the carnival is a mixture of walking groups, floats on heavy lorries, marching groups such as majorettes, and other interesting vehicles. If you're from Melksham - if you represent a club or society, a school or a business - be thinking about what you'll be doing on 16th July next year. It sounds like we're going to have an even bigger and better carnival - and I'm looking forward to it!